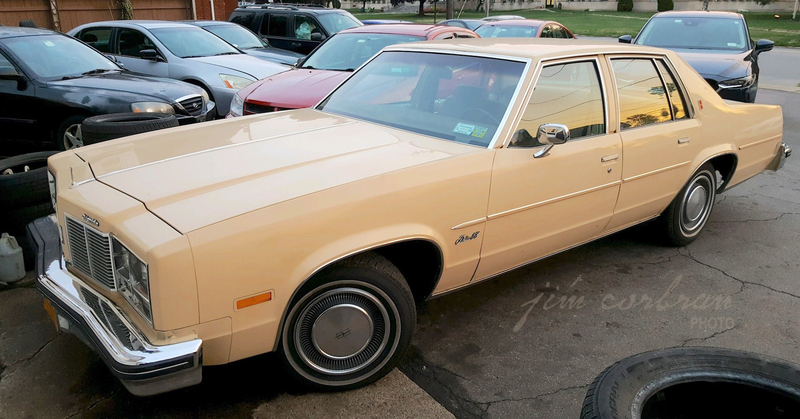 There are a couple of things I really like about this 1977 Oldsmobile Delta 88 Royale, seen last week in Tonawanda: a.) 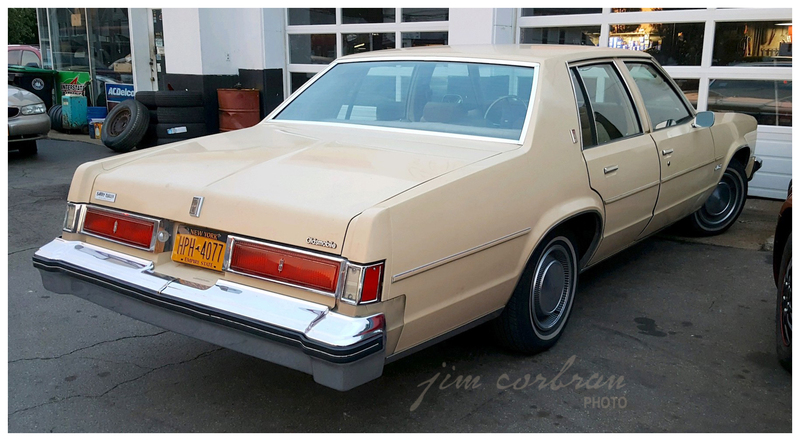 IMO Olds perhaps did the best job stylewise with their downsized big cars for 1977. They just look more expensive then they were; and b.) this one was bought new at Barry Cullen Chev Olds Cadillac in Guelph, Ontario. 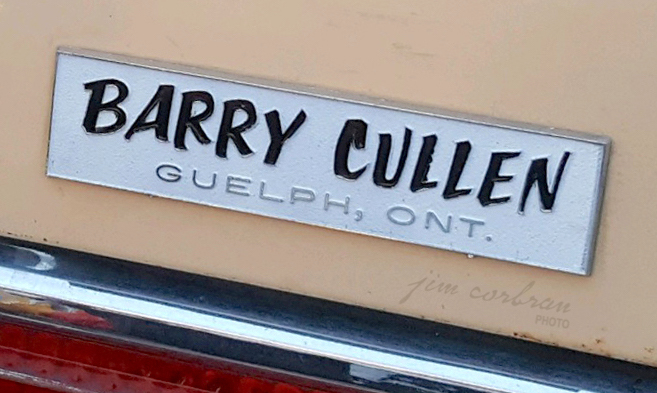 Barry Cullen worked part time for a Toronto car dealer while he was playing professional hockey for the Maple Leafs (this was back when many pro athletes had to work at other jobs in the off-season to survive). 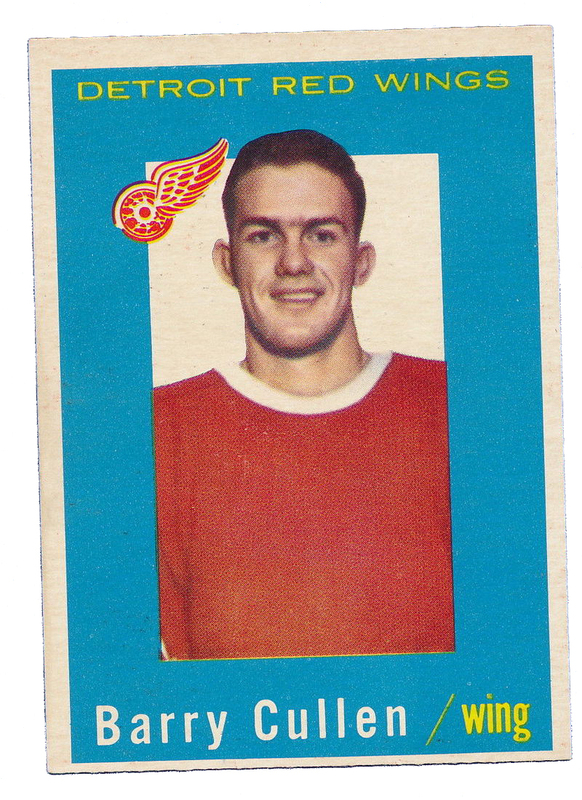 He also played for the Red Wings before he retired in 1960 and went full-time in the auto business, eventually buying the Chev Olds Cadillac dealership in Guelph in 1969, and renaming it Barry Cullen Chev Olds Cadillac. It moved to its current location in 1979. Barry’s brother Brian played for the Leafs, Rangers, and Buffalo Bisons — he owns Brian Cullen Motors (Chevrolet) in St. Catharines. Another brother, Ray, played for the Red Wings, Rangers, North Stars, and Canucks, and is currently the owner of Ray Cullen Chevrolet Buick GMC in London, Ontario. Talk about parallel careers!